When I'm in the mood for something salty to snack on I usually grab a bag of chips and proceed to devour it in an entire sitting. So I'm always looking for a healthy and tasty alternative. A few weeks ago my girlfriend introduced me to a simple recipe for baked eggplant. 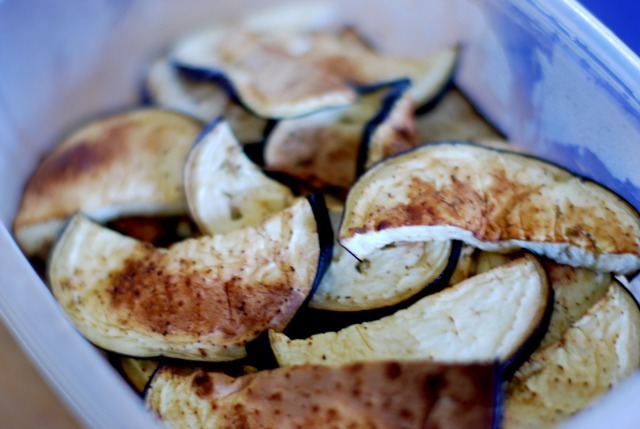 While eggplant isn't exactly as exciting as chips, this recipe makes for a delicious and satisfying snack without the guilt. 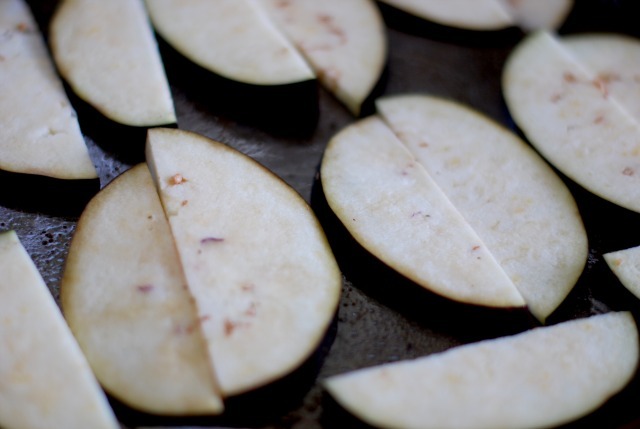 -Cut eggplant in half, then slice eggplant into 1/2 inch slices. 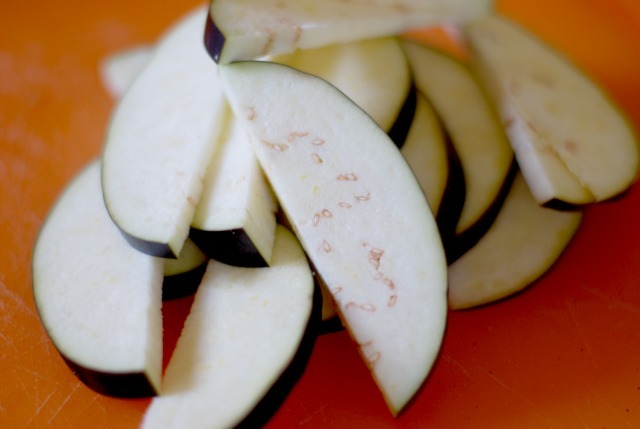 -Brush both sides of eggplant with olive oil. -Sprinkle with salt and pepper (I used "Slap Ya Mama" to make it spicy), and place on a non-stick baking tray, or on tin foil. -Bake for around 30 minutes. -Remove, let cool, and eat! What a great idea! 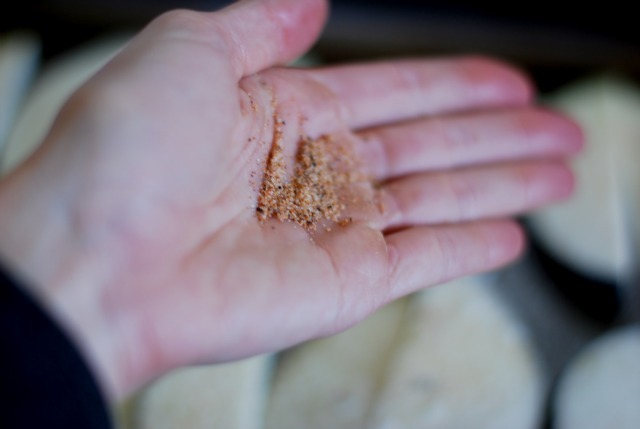 I will be trying these - thanks for sharing the recipe. Always nice to find something quick, easy and healthy which makes a change for nibbles to have with drinks before dinner. I love these kinds of alternatives to fried snacks. I actually enjoy them more too! Thank you! Happy weekend to you and everybody else who reads this! Do they get crunchy? At all? Sold! I love Eggplant, I'm definitely making this. Zucchini works well too but my favorite non-heart-stopping salty snack these days has to be polenta fries. Amazing and so easy! 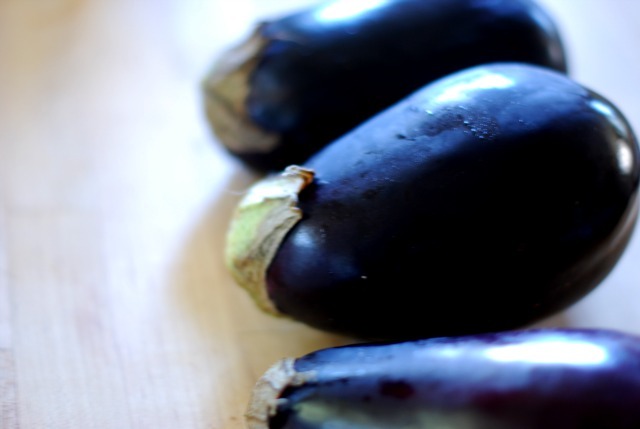 i have heard such horror stories from eggplant, how difficult it is to work with in cooking, so have always avoided it in my own culinary adventures. lately, though, i too need a break from chips and cookies and other unhealthy riff raff, great recipe suggestion. I always love to have healthy savory snacks in lieu of chips. My faves are kale chips (obvs) and baked chickpeas! Can't wait to try this one out! Making these this weekend! Been looking for a healthy alternative to salty chips! Thanks. I am such a snacker and all about healthy snacks. Thanks for this one! Great alternative to chips! I'll be trying this next week! yum...I love how simple this is!! Come Visit and stay FAB. I'm obsessed with eggplant. I am most definitely going to be trying this recipe out. I love eggplant. I am so going to make this! mmmm this sounds delish! I'll have to try it out. What a great idea!! I make kale chips and try to pretend the are as good as potato chips. oooh i can't wait to make this. i am such a savoury girl and I love aubergine! !